Instituto de Bioingeniería, Universidad Miguel Hernández, Campus de Elche, 03202 Elche, Alicante, Spain. Background: The ancient, universal molecular machine for protein synthesis is the ribosome, which is composed of ribosomal proteins (RPs) and rRNAs. Ribosome biogenesis is a process conserved in all eukaryotes, with divergent aspects among fungi, plants, and animals. In plants, processing of 45S pre-rRNA (the primary transcript of 45S rDNA genes) produces the 25S, 18S, and 5.8S rRNAs. Maturation of these rRNAs is a complex, multistep process involving several alternative pathways and many ribosome biogenesis factors (RBFs), some with known enzymatic activity. Putative RBFs have been identified in plants by homology with those in fungi and mammals, but experimental evidence of their functions is available for only some of these putative RBFs. Ribosomal processing protein 7 (Rrp7) is a demonstrated yeast RBF; its likely Arabidopsis ortholog, which we dubbed RIBOSOMAL PROCESSING PROTEIN7 (RRP7), is encoded by the AT5G38720 gene. Questions: What are the action and interactions of Arabidopsis RRP7? What roles does it plays as a RBF? Are these roles—including the steps of ribosome biogenesis in which RRP7 acts—conserved or divergent with those of yeast Rrp7? Findings: By means of genetic and molecular approaches, we found that RRP7 is both evolutionarily conserved and divergent. Similar to its yeast and human homologs, Arabidopsis RRP7 is involved in 18S rRNA maturation. However, unlike yeast Rrp7, it is not an essential factor. 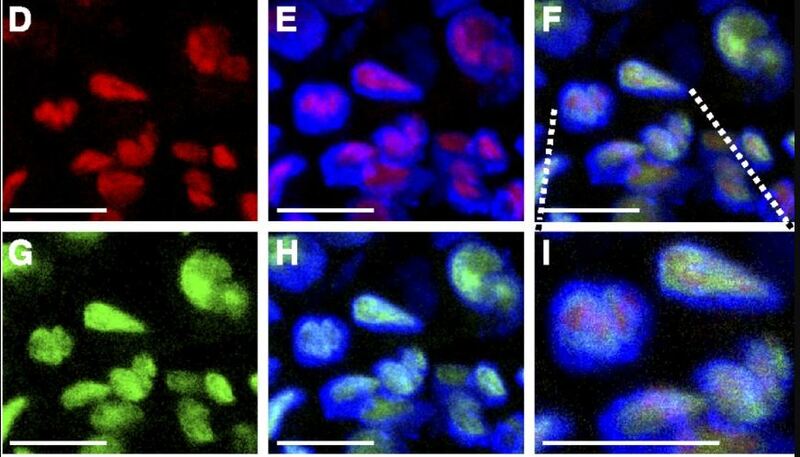 Loss of RRP7 function causes nucleolar hypertrophy and defects in 18S rRNA maturation. These molecular phenotypes of the rrp7 mutants are associated with pleiotropic developmental defects, indicating that RRP7 is required for normal plant growth and fertility. RRP7 is localized at the nucleolus and the nucleolar periphery. We genetically combined mutant alleles of RRP7 and mutant alleles of genes that are known to encode epigenetic regulators of 45S rDNA transcription, and we found that the synergistic phenotypes shown by the double mutants suggest that RRP7 also participates in the regulation of 45S rDNA transcription. Next steps: In addition to its role as a RBF, yeast Rrp7 is a component of the CURI complex, which coordinates transcription of genes encoding RPs with that of rDNA genes. The rDNA genes produce pre-rRNAs that are processed to render mature rRNAs. 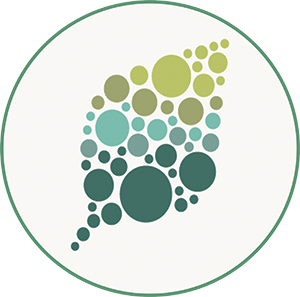 Our long-term goal is to ascertain whether plants have a complex functionally equivalent to the yeast CURI complex and whether RRP7 is one of its components. Rosa Micol-Ponce, Raquel Sarmiento-Mañús, Alejandro Ruiz-Bayón, Charlotte Montacié, Julio Sáez-Vasquez, María Rosa Ponce. (2018). Arabidopsis RIBOSOMAL RNA PROCESSING7 Is Required for 18S rRNA Maturation. Plant Cell 30: 2855-2872; DOI: https://doi.org/10.1105/tpc.18.00245. Featured image shows subcellular localization of RRP7 in the nucleolus and nucleolar periphery.